Since 1991 we've been offering Guided Yosemite Climbing in the southern Yosemite high country. All of our day trips are privately arranged and your personal guide will cater the days to your own personal interests and abilities. From easy top-roping for the family to challenging multi-pitch trad and sport routes, we can do it all. And if you're looking to expand your own skill set, consider our Rock Climbing Instruction courses: the rock climbing skills day and rock climbing camps. Browse our itineraries below, and feel free to call us at 800-231-4575 for customized climbing trips and tours catered to you and your group. Rock Climb with SYMG! 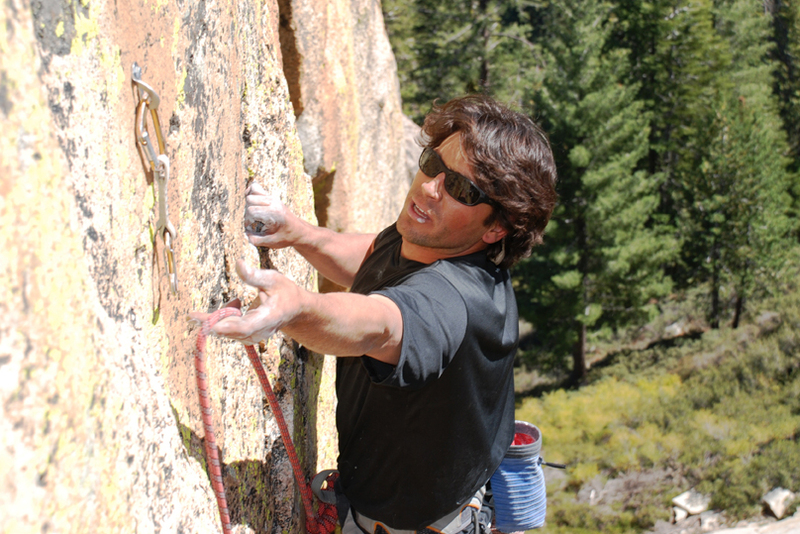 We offer privately guided rock climbing day-trips to the best areas of Southern Yosemite. All gear is included and our professional guides are highly skilled, patient, and enjoyable people to spend the day with. Fun for all ages and abilities, no prior experience required! Take your skills and technique a step further with a private rock climbing instruction. We will create a custom 8-hr class for you based on your own interests, abilities and experience. Learn about placing gear, building anchors, professional safety standards, advanced climbing techniques, rescue skills, multipitch systems or any number of other focuses. Come enjoy a weekend of climbing and companionship in the high country of southern Yosemite! Rock Weekends are a great way to learn a new area, increase your skill set & technique, or make the transition from the gym to outdoor climbing while having fun with like-minded others. In the southern Yosemite high country we'll have access to over 1,000 different routes of all styles and grades. Take your skills and technique to the next level. Small groups, expert guides, scenic wilderness and lots of great climbing make for a memorable and well-rounded experience. In addition to lots of time on the rock, you'll learn about placing gear, building anchors, professional safety standards, advanced climbing techniques, rescue skills, and multi-pitch systems.